The amount of people who have started to use this product has increased tenfold. Nowadays, everywhere you look you’ll see people spraying this stuff on their hands, rubbing them together, and then moving on their way. Sure, this definitely cleans your hands of bacteria and other sick-causing viruses, but what else is happening here? Are you doing more harm than good? Hand sanitizers have become widely used as recent as 2000 or so. Before that, people used mostly soap and water to stay clean. But now when access to this stuff, people are using this sometimes 5 times per day, and even when they don’t even really need it. Using it too much is exactly why it’s becoming a problem, and this overuse of it can cause serious harm to your body. While you definitely have a lot of bad bacteria on your hands from touching objects, your hands also naturally have good bacteria on them. These good bacteria keep your skin looking healthy, keep your hands in good shape, and make sure nothing bad happen to the rest of your body. This good bacteria isn’t just on your hands, but since most people use hand sanitizer on their hands, this felt like the best place to start. When you use this on your hands regularly, you kill ALL the bacteria on your hands, and this means that your body is being depleted of all the good bacteria, as well as the bad bacteria. When you’re left with no good bacteria on your hands, your hands are actually more likely to pick up viruses and bacteria than previously. This means that the overuse of hand sanitizer can actually increase your chances of getting sick, and the percentages increase the more times you use it. Using this stuff too often and in too large amounts can result in a drying out of your hands, resulting in cracked and bleeding skin patches that are unlikely to get better on their own. And it’s all because you couldn’t go to the sink and wash your hands really quick. Washing your hands with soap and water too often is also bad, but because of the water aspect, you’re able to wash away the soap totally. 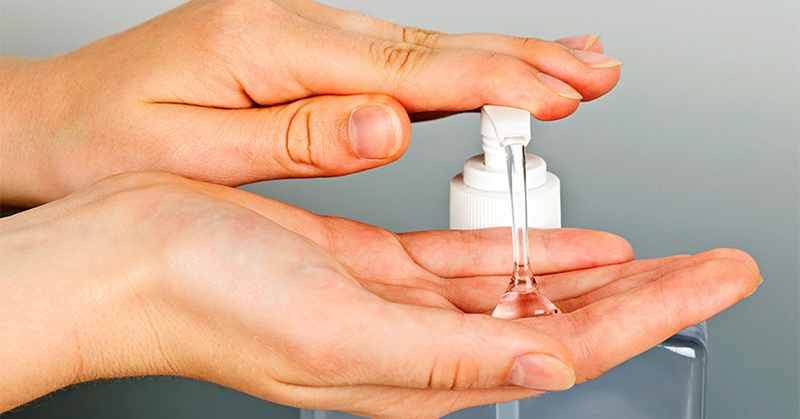 With hand sanitizer, you’re leaving the alcohol on your hands to dry, and this causes extreme dryness to occur. So use this stuff sparingly!